Muscular and refined a used Honda Crosstour is a great way to hit the trails in Petaluma, Rohnert Park, Sebastopol and Sonoma without putting a dent in your wallet. A Honda vehicle has a stellar reputation, so you know a used Honda Crosstour is going to be just as first-class and reliable as a new one. Come see what a used Honda Crosstour has to offer you at Manly Honda in Santa Rosa, CA. Our courteous sales team is ready to discount the car even more, so come on in and check a used Crosstour out! You'll be amazed by the standard features that come on a used Honda Crosstour -- in fact, you'll think they're options! It's powered by an Inline 4 or V6 engine with automatic transmission, and standard equipment includes heated power mirrors, a power moonroof, alloy rims, fog lamps, anti-lock brakes, power windows and door locks, cruise control, remote keyless entry, dual chrome exhaust tips, air conditioning, a power driver's seat, and an AM/FM/CD/MP3 stereo. You can get real peace of mind with a used Honda Crosstour by considering a Certified Pre-Owned (CPO) Crosstour. 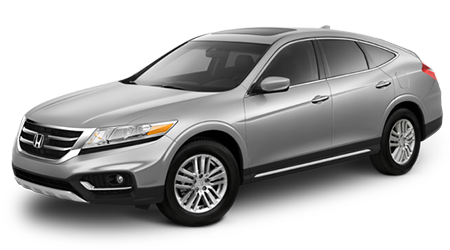 A CPO Honda Crosstour is fully reconditioned by factory trained technicians and must pass a thorough 150-point inspection and be accompanied by a CARFAX history report, which includes any accidents, damages or repairs to the vehicle. But before it even reaches that step, know that a CPO Crosstour has to be six years old or newer and the odometer must read 80,000 miles or less. Every Certified Pre-Owned Honda Crosstour is backed by a superb warranty. You'll get a 12-year/12,000-mile extension of the New Car Warranty, plus a 7-year/100,000-mile powertrain limited warranty with $0 deductible for covered repairs. You can also opt-in for paid Honda Care Certified Additional Coverage for your CPO Crosstour, which extends the powertrain warranty to 8-years/125,000 miles and adds more systems coverage and roadside assistance. And an added benefit is a 3-month free subscription to SiriusXM if your CPO Crosstour is equipped with satellite radio. Pre-approval for a car loan is simple via the Manly Honda website. If you fall for one of our used Honda Crosstours, fill out short, secure four-step online application and we'll be in touch shortly about what financing options are available. Our finance departments utilize multiple lenders, so if your credit isn't stellar, we'll do our darndest to get you into that used Honda Crosstour you're pining after. The friendly sales team at Manly Honda, serving Petaluma and Sebastopol, invite you to browse our selection of used Honda Crosstours right now. Then let us grab the keys and take you on a test drive today!